Raised Bed Revolution is an amazing resource guide to all aspects of raised bed gardening. Tackling the why and how, it gives excellent examples, plans and directions for making everything from traditional raised beds to easy access beds for the elderly and the disabled to practical beds for growing vegetables and herbs to decorative planters that both grow well and look good. Once your raised beds are built, Raised Bed Revolution gives you examples of what plants you can grow there — from garlic to lettuce to potatoes and more! This is a book that could find a welcome place on any gardener’s shelf and be referenced again and again. 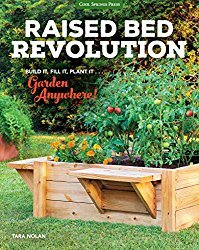 Join the revolution and create a beautiful raised bed garden with inspiration from the ultimate raised bed gardening guidebook! Raised bed gardening is the fastest-growing garden strategy today, and Raised Bed Revolution is its ultimate guidebook. 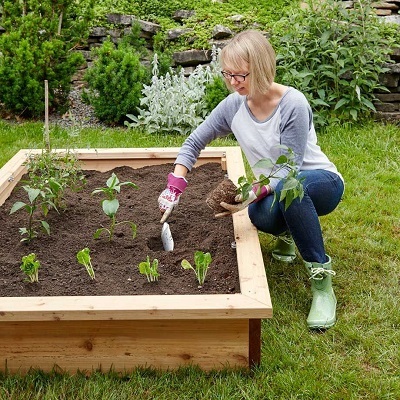 The book includes information about size requirements for constructing raised beds, height suggestions, types of materials you can use, and creative tips for fitting the maximum garden capacity into small spaces–including vertical gardening. – Raised beds allow gardeners to practice space efficiency as well as accessibility (the beds can be customized to be any height). 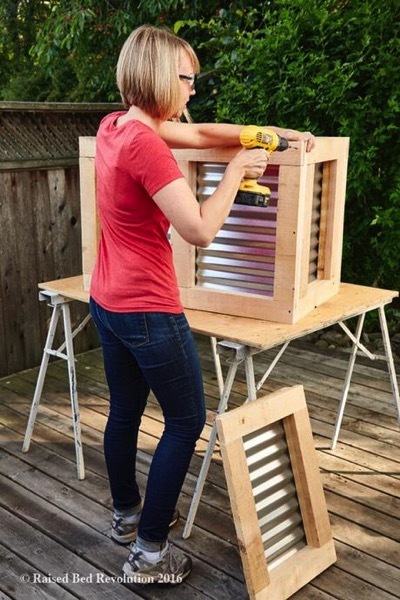 – Raised beds permit gardeners to use their own soil, and they can be designed with wheels for easy portability if partial sunlight is a problem. – Water conservation is easier for gardeners who use raised beds. Categorized under: Books, Build/Make, Design, DIY, Education, Equipment, Food, How-to, Projects.